At Drapers Mills Primary Academy the governors and staff fully recognise the contribution the school makes to safeguarding children. We recognise that the safety and protection of all children is of paramount importance and all staff and volunteers have a full and active part to play in protecting children from harm. Our school promotes a caring, positive, safe and stimulating environment which promotes social, physical, emotional and the moral development of each pupil. Our school values promote safeguarding: Respect, Endeavour, Fairness, Leadership, Enjoyment, Contribution and Trust. At this school we have a number of Designated Safeguarding leaders: Scott Wilson, Ann Evans, Jo Jennings-Payne, Sonia Leen and Jill Hitch . All staff receive safeguarding training. We are always here to give advice, including online safety. If you have any safeguarding concerns, please contact the School Office who will signpost you to the appropriate member of staff. We have also put some useful links on this site which may also provide valuable information. Summer seems to be well and truly here. 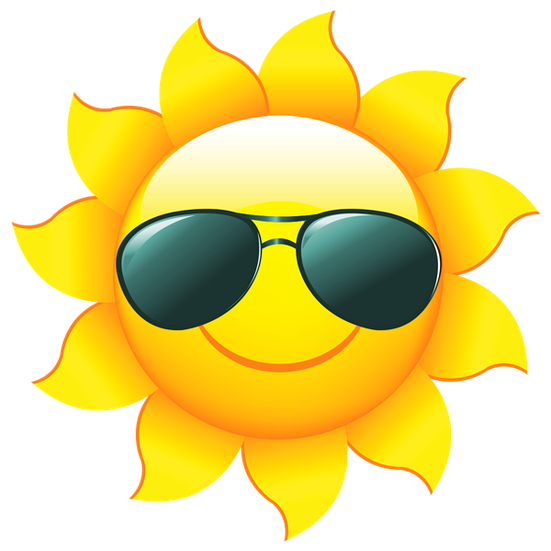 It provides great opportunities to be outside and have fun but we want children to stay safe in hot and sunny conditions. 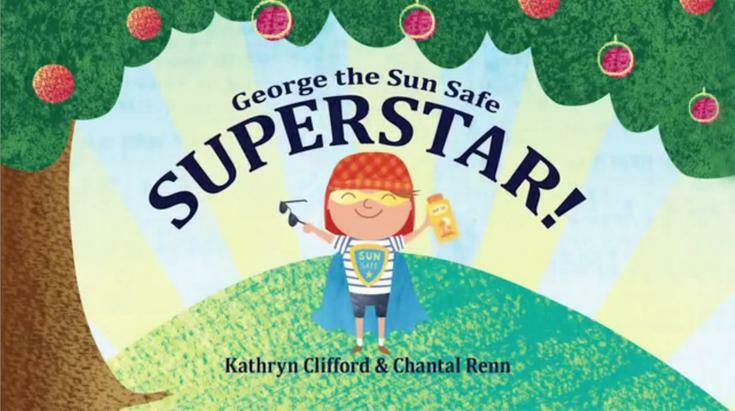 Below are a couple of short clips which children might enjoy, helping them to understand the importance of taking some simple safety measures during the summer heat. 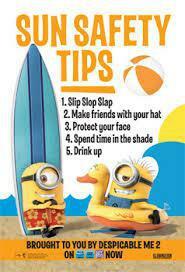 This one is the Despicable Me 2 Sun Safety campaign. Vodafone produce an excellent magazine for parents and carers regarding online safety. It can be read online or read as a PDF by following the link below. The Children’s Commissioner has recently published a reort called ‘Growing Up Digital‘. One of the things that is of particular interest in the report is the fact that around half of 8 – 15 year olds use Instagram. 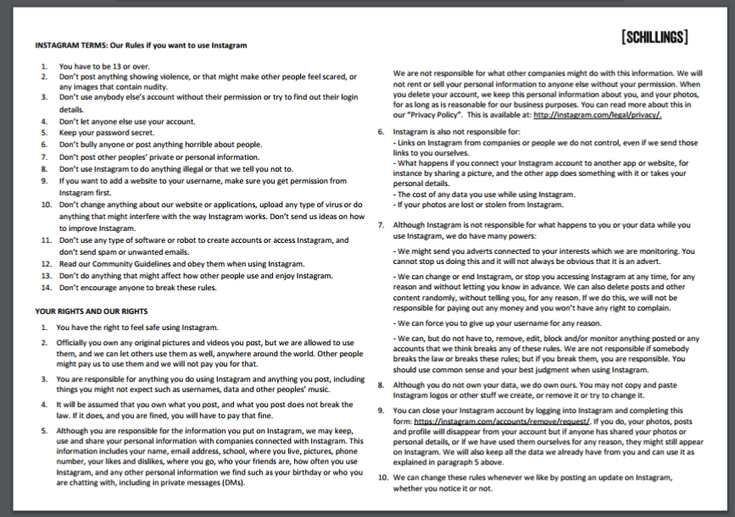 However, the ‘Growing Up Digital’ report authors asked legal firm, Schillings, to look over the 17 pages of Instagram’s Terms and Conditions, written at a level that could only be understood by a graduate! Schillings own lawyers simplified the TaC to help children (and the rest of us probably) understand what they mean. Below are the Terms and Conditions made a little bit more straight forward. There is currently a great deal of media surrounding 'Clown Craze' sweeping across the UK following the craze in America. There is of course a concern that young children could find this very disturbing as it appears people dressed as clowns attempt to jump out on passers by. Should this occur, then children should treat this as they would with all strangers. It is important that they report it to a parent or carer who can then contact the relevant authorities if they feel it is necessary. The website below has some good advice for children regarding 'Stranger Danger' although it is not specific to this latest craze. Being a parent always seems to mean lots of worrying, especially when it comes to keeping your child or children safe. All parents worry about different types of abuse and how to talk to their children about some of these issues. The NSPCC have a really useful website called 'Talk Pants.' This site teaches children important messages, like their body belongs to them and they should tell an adult if they're upset or worried. There are activities for children on there and also advice for parents. Below you will see a link to the website and also a leafglet for parents providng some useful advice. Information for Parents to help children play safely. 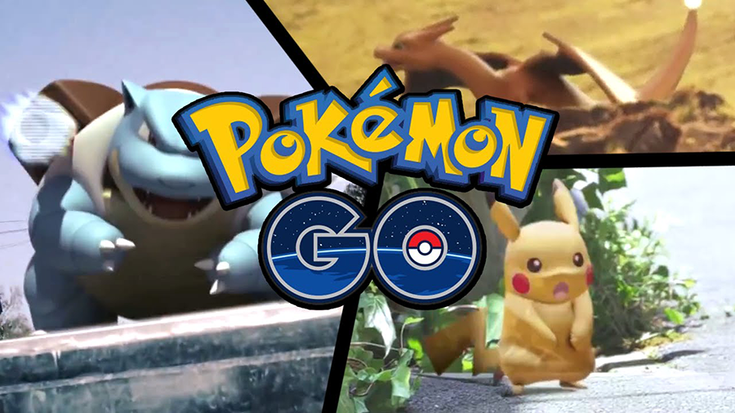 There has been quite a few articles in the media recently regarding this new gaming sensation. Clearly a games which gets people up and active will have many benefits but it is also important that parents are aware of the possible risks that could be associated with this game so that they can support their children as necessary and enjoy it in a way that is safe. 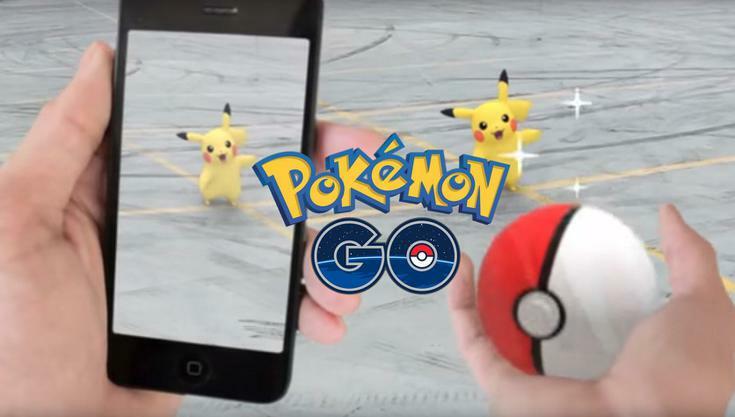 Safer Internet have written a short feature about this new game which does provide some advice to parents. As parents, we often worry about what our children are accessing on tablets and computers. Sometimes it can be difficult to tell how suitable something is. I have come across a website that parents and carers might find very useful. It does give you some information about different apps, what other parents and children think and rates some of the risks. You can access it by following the link below. 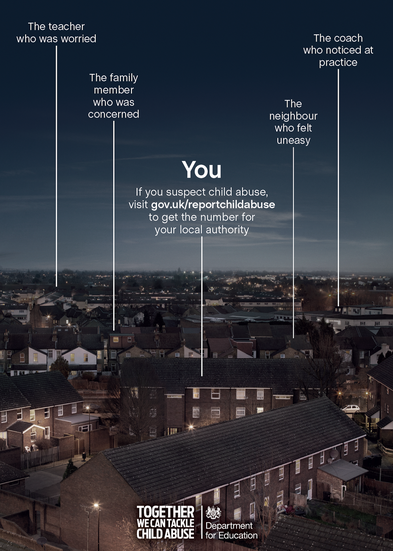 If you are ever concerned about a child, the link will provide you with the necessary advice on how to report your concerns. Dear Parents and Carers, I know some of you have concerns around recent events in the news regarding radicalisation and extremism. As a school, we have duty to be very aware of how radicalisation and extremism can impact on our children and families. Therefore, with this in mind, I would like to make you aware of some of the measures the school takes to keep children safe. Those with extremist views will often try and express their views through social networking and the internet, such as YouTube clips etc. We have a firewall in school which is recommended by Kent Education Authority which helps prevent social networking sites being accessed in school and limits websites and images. We have an Extremism and Radicalisation Policy which helps set out how staff should deal with concerns and there are a number of signs identified with radicalisation which staff can be aware of and alert to. Our school strongly promote British Values, one of which is Tolerance. We bring this into assemblies, Circle times, when dealing with inappropriate behaviour and any other opportunities within our curriculum to ensure children understand tolerance and respect for others. RESPECT is also one of our School Values. Staff have had some training relating to Radicalisation and Extremism and are aware of what to look out for. The school has lockdown procedures for any such relevant emergencies. Be aware of what your child is accessing on the internet and with gaming as extremists can often try and get their message across through this media. Check games, websites and social networking sites are age appropriate and give children the confidence to share their worries if they see something inappropriate. Model Tolerance in your own lives wherever possible. Children are significantly influenced by their families so if you are modelling respect and tolerance, this will help them to understand these concepts and build on what we teach them in school. Inform our Child Protection lead, Mr Scott Wilson if you have any worries or concerns. We are always happy to talk. If you are unsure about parental Settings on computers and tablets, or firewalls for devices, then please feel free to ask the school for advice. Now that the clocks have gone back, it is starting to get dark earlier and earlier. It is really important that children can be clearly seen by motorists and cyclists to keep them as safe as possible when they are walking to and from school, or out playing. There are lots of small reflectors, reflective strip stickers or snap bands for wrists and ankles which can all help children to be seen clearly. Below are a couple of websites where you can find more information about 'Be Safe, Be Seen'. We would recommend that you explore the website yourself first before sharing it with your child so you can pick out bits which you feel are the most appropriate. Once again, Bonfire Night is nearly upon us. It is such a wonderful time to have fun but we want all our families to keep safe at this time. Therefore, it is very important to follow firework safety guidelines as this will help you to make careful choices, be safe and still have great fun. Never play with fireworks - They are explosives and can hurt you. Always keep fireworks in a closed box and always follow the instructions on the box. Only adults should light or hold fireworks. When you are watching fireworks stand well back. Fireworks will frighten your pets, so keep your pets safely indoors. Always wear gloves. Hold it at arm’s length. When your sparkler goes out, DON’T TOUCH IT. It could still burn you, so put it in a bucket of water. Never let off fireworks in public places such as streets or parks. For further advice about firework and bonfire safety, there are many websites. The website link below does provide some additional safety information. 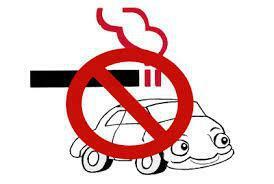 It is illegal to smoke in a car (or other vehicle) with anyone under 18. The law changed on 1 October 2015, to protect children and young people from the dangers of second hand smoke. Road Safety Information Information for teachers, parents and children on keeping safe on the roads. Be Bright, Be seen is also useful as the evenings become darker. Top Tips for Building Your Childs Online Resilience A useful web page for parents on helping to keep their child safe online. Staying Safe on Minecraft Information for parents on how to make sure their children access Minecraft in a safe way. In schools we have lots of opportunities to learn about safeguarding and, particularly the online aspect. Parents on the other hand need access to support too. It is not always easy to encourage parents to meetings about esafety, but it is crucial they understand the risks. The government has recently launched a brand new website to support parents. The website has being developed with ParentZone and CEOP, the police command responsible for child exploitation and online protection. Parent Info is a collection of articles, tips, expert advice and resources designed to help parents keep up with what their children are doing on-line. For example, the site currently includes information about staying safe on minecraft, mental health, and building online resilience.